EAST students have a reputation for great projects that are the result of exploratory learning and serving others, but it is not often that we hear of them starting a marketing service for businesses in their town and surrounding counties. 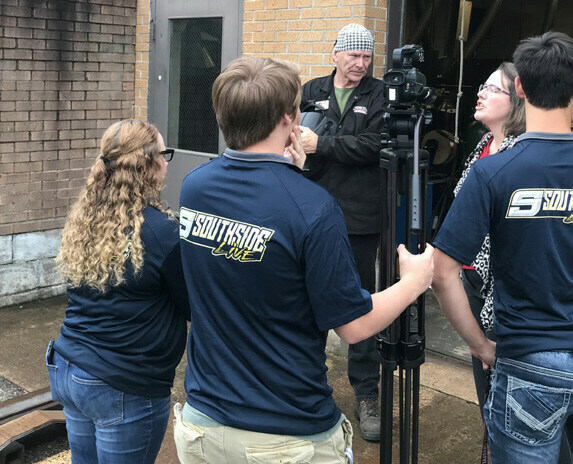 The students of Southside Charter High School in Batesville, Arkansas have given the E in EAST, Education Accelerated by Service and Technology, a new meaning: Entrepreneurship. Southside Live started as an EAST project led by a single student several years ago, and now it is known for its community impact and for developing enterprising students in droves. and mixer to accompany the camera the school already owned and allowed Drew and other students to produce a student-led broadcast. “With limited equipment — it was not in HD — and it was not ESPN, but they loved it and made it work,” says current EAST facilitator Jason Weaver. Some may have seen this as a limitation, but the students in EAST at Southside saw it as an opportunity to impact the larger community and local Superintendent Roger Rich agreed. After seeing the commitment the students made to producing a weekly broadcast, Superintendent Rich agreed to purchase higher-end equipment in 2017 that would allow Southside to provide the community with HD footage of sporting events and other school activities. After this investment, EAST students began taking steps to make this project more sophisticated on every level and ultimately created a social enterprise. “For football and other sports, we are producing an HD-quality broadcast that includes a pre-recorded coaches show, a live halftime show, a live post-game show with a player and coaches interview (when available), as well as an alumni spotlight and a player of the game spotlight from the prior week,” says Weaver. While primary production happens on Friday nights, the students have expanded their impact beyond school needs. This project has become so well respected that it has generated a lucrative advertising business from community businesses that has raised over $6,000 so far this year. The money received will enable the school to purchase more technology for the program as well as provide a small stipend for the students who do the bulk of production. This opportunity has led the Southside Live team to begin to seriously map out a business plan to capitalize on their growing reputation and includes a strategic marketing and growth plan. in charge of over 100 athletic events, graduation ceremonies at Southside and University of Arkansas Community College at Batesville, educational conferences for Lyon College and White River Medical Center (WRMC), and multiple bands and choir concerts. Their efforts have allowed parents to see their children’s elementary and junior high programs and events that would not have been possible otherwise. Live streaming the choir concerts, athletics, and other school events has helped students share their talents and hard work with family members right down the road and as far away as Japan! When the school decided to put in a video board at the football stadium, they turned to Southside Live for help in raising the $250,000 needed to purchase a Megatron. Southside Live already had contacts with many of the sponsors the school had enlisted to pay for the 12’x24’ video board. 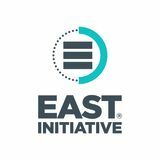 In a matter of weeks, EAST at Southside had met with the businesses and created commercials and advertising to cover sponsorship needs for the upcoming year. The new project also led to more advertising opportunities and also new community partners for future projects. 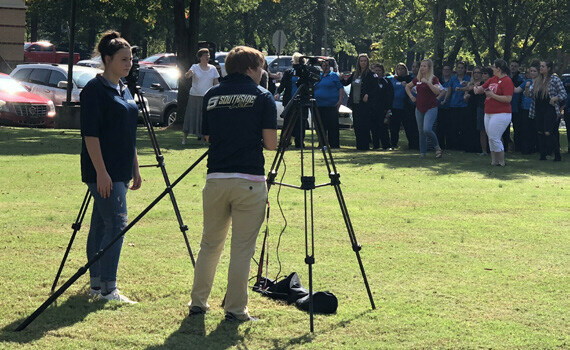 The quality of these commercials has garnered the attention of several businesses throughout the district like First Community Bank, Citizens Bank, and the University of Arkansas Community College at Batesville (UACCB) who have all become sponsors on Southside Live as well as the Megatron project. Southside students often find themselves developing graphics, scripts, and concepts for all forms of media and are the coordinators in the booth as well as the camera crew on the ground operating the Megatron. Students have met with White River Medical Center, and after the presentation, they expressed interest in purchasing a more expensive ad than the students had to sell. On the spot, the students were asked to brainstorm about extending this partnership beyond selling an advertisement. That conversation developed into a plan to work on a social media campaign for WRMC over the nine counties and clinics they serve and organizing two educational and charity events for Independence County. "I would’ve never gotten involved with the live stream stuff if Coach Weaver hadn't believed in me and let me figure it out. Now I can teach the new kids in EAST how to do it, and I’m pretty sure I want to do broadcasting for a job now," says Ian Jackson, a student leader on the project. The city of Batesville is lining up in support of EAST, and the students of Southside are happy to serve.